A native of Portland OR, Momma Sammu was raised attending Fantasy and SciFi cons, but attended her first anime convention in 2006. She has been cosplaying ever since, now with over a decade of sewing and crafting and six years of heavy competition experience under her belt. 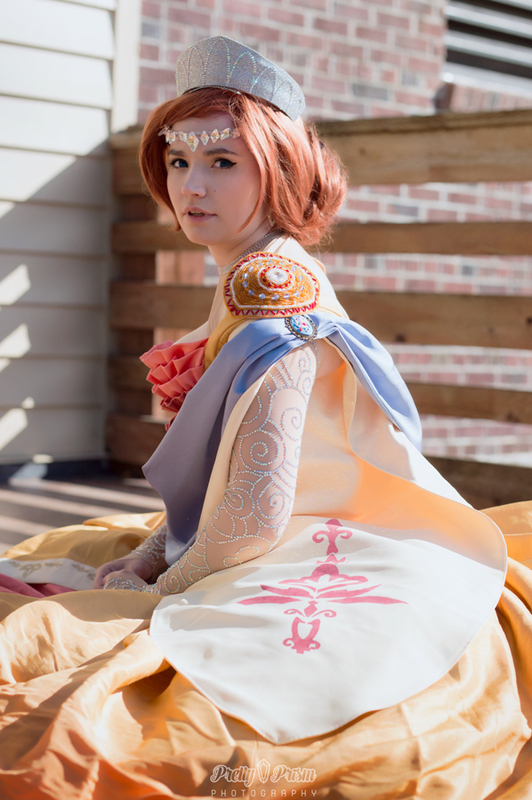 In that time she has competed at conventions across the country and abroad, and taken home over a dozen top awards in performance and craftsmanship from competitions including Anime Los Angeles, Rose City Comic Con, and KumoriCon. Her specialties include corsetry, ballgowns, and making things as Extra as humanly possible. Even when out and about, she is known to have something in hand, whether that’s a piece that needs hand-stitching, or a skirt that needs bedazzling. As an active Twitch streamer, she devotes most of her time to live work sessions on her channel, sharing her cosplay knowledge and positive attitude with as many people as possible.